The Bay Area has a high concentration of various types of industry and commerce including large factories and plants. Industrial plants in and around San Francisco and the Bay Area are common, and unfortunately, so are the industrial accidents. Industrial and manufacturing industries are some of the most dangerous places to work in the United States. The Law Offices of Michael A. Fiumara offers personal injury representation to victims of these types of accidents. We are also proud to represent industrial workers’ union members, and individuals and families who live next to or adjacent to industrial plants, and manufacturing facilities. We also are proud to represent emergency service personnel such as fireman and first responders who are injured or killed in the course and scope of their duties. 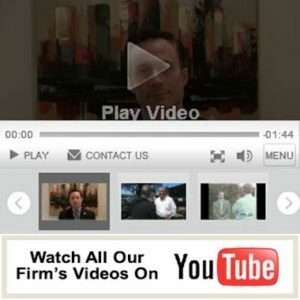 If you or a loved one has been injured due to a plant explosion or some other manufacturing or industrial accident or catastrophe, please do not hesitate to call us 24/7 and you will be put in touch with an experienced and highly skilled personal injury attorney from The Law Offices of Michael A. Fiumara at two convenient locations to learn the ways that we may be able to assist you and your family. Despite the fact that there are many federal and state agencies that now regulate industrial and manufacturing plants, such as the Occupational Safety and Health Administration (OSHA) and the Environmental Protection Agency (EPA), these types of accidents are more common than is currently believed. Unfortunately, most of these types of accidents could have been avoided in the first place had the proper precautions been taken and if the regulations were properly and rigorously enforced. OSHA and the EPA are not only required to conduct regular inspections of these factories and manufacturing facilities, but they are supposed to ensure that they are all up to code; but they also investigate sites after the accidents have occurred to uncover the underlying cause. Sometimes a pipe has been repaired improperly or with the wrong materials. More often than not, the root cause of plant explosions is due to human error. Any of the above mentioned reasons can lead to an accident that can lead to an accident of catastrophic proportions either injuring, maiming, or killing workers and surrounding residents. Therefore, it is important that an investigation reveal the true cause of the accident, and thereby pinpoint the party who was liable. In 2010, the Department of Labor reported that there were close to 5,000 fatal accidents that took place at the workplace, more than 300 of those came from manufacturing. Unfortunately, even more workers were injured annually than were killed. According to the Department of Labor, there were nearly three million people injured in workplace accidents each year. The ramifications of plant explosions are far more reaching than just for the workers who may have been initially exposed to chemicals, fire or worse. Oftentimes, hundreds of nearby residents, usually in the poorer neighborhoods that surround these industrial facilities, suffer harmful exposure to chemicals, contaminants and other harmful toxins that expose them to a higher risk of cancer and other diseases. How Can The Law Offices of Michael A. Fiumara Help Me? If you or a loved one is injured or killed because of a plant or industrial explosion in a manufacturing or other industrially related setting, then you should immediately call The Law Offices of Michael A. Fiumara because we want to hear about your case. Our law firm has never shied away from controversial or complex cases such as these, and we will not back down even when large corporate interests, such as powerful insurance companies and industrial plant conglomerates confront us. Our law firm has helped thousands of clients with their personal injury claims and has recovered millions of dollars on their behalf. Please let us be of assistance to you. Together, our law firm will help you, our clients, hold the negligent parties responsible for their direct actions so justice is served and you can achieve full compensation for your injuries. If you would like to take the first step and discuss your case with a qualified attorney from The Law Offices of Michael A. Fiumara regarding a plant explosion, please call us 24/7 and receive your free case evaluation. There is no obligation and we would be pleased to meet with you and your family at your home, hospital or other place where it is most convenient for you. Our job is to make your life easier and to compensate you fully for your injuries.